Martyn Collins Digital and Social Media Marketing Services: A rocking blog post – so simple even a caveman can do it. A rocking blog post – so simple even a caveman can do it. 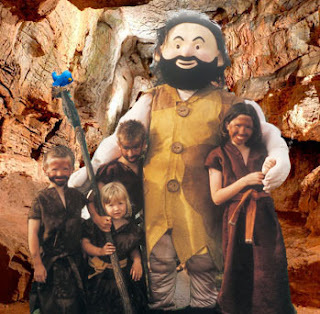 Cavog the Caveman lives in Torquay's award winning visitor attraction, Kents Cavern prehistoric caves, and is something of a Social Media expert. In this guest post Cavog shares some of his reasons why Social Media is so important to their on-going success. How else could I tell the world about how great my pad is? How else could I share news about our jaw dropping find, at the push of a button, and have people chattering about it across the world? How else could our visitors share their experiences with other visitors so easily, and with me? How else could I tell little stories about my life in Britain’s oldest prehistoric home to so many people? My blog has been read all over the world, and it’s not cost Boss Caveman a penny – I’ve heard him say that his marketing budget could not get the sort of exposure that social media gets for the caves. Not really sure I understand all of that, all I know is that I have waited 41,000 years for this type of technology, the last inventions to rival this were the wheel and fire! Boss Caveman has a facebook page, for the fun stuff and is on Linkedin for the grown up geological stuff (check him out, he certainly knows his rocks) – he shares my blogs on his facebook page (if he really likes them) and retweets my tweets when they tickle him! He also has a twitter account for the events, happenings and information from the caves, I can’t always remember exactly what’s going on, so he handles detail and I ‘rock’. Our guides are also tweeters, which is fun – so we make sure that the happenings at Kents Cavern, from all of our perspectives, are shared with our different followers. We’re rated well on TripAdvisor, and next on Boss Caveman’s list is to get better at interacting with customer comments – he’s really keen to make sure he makes the most of the time and effort reviewers have put into the reviews. Boss Caveman is off on a course next month, and has some social media advice now and again – which he seems to like as he comes away with lots of ideas. He even took me on a social media ‘speed mentoring’ course last month! So yes, social media is so simple, even a Caveman can do it – but we’ve chosen the ones we can manage and be active in, we’ve not bitten off more than we can chew. I once did that with a Mammoth burger and I won’t be caught out again!" Thanks for sharing Cavog and if any other businesses would like to talk about their success with Social Media please contact me, I'd be pleased to feature you.